MOOSE, WY—Grand Teton National Park’s Jenny Lake Rangers, Teton Interagency Helitack, and the Teton Interagency Contract Helicopter came to the rescue of two mountaineers Tuesday, August 15, 2017. The mountaineers, Nick Marucci, 30, of Salt Lake City, Utah,mand Laura Robertson, 23, of Orem, Utah, were attempting to complete the Grand Traverse when they became mentally and physically exhausted after five challenging days in the high mountains. Marucci and Robertson ascended Teewinot Mountain and Mount Owen on the first two days of their journey before cool temperatures, rain, and hail hampered their progress on Sunday. On Monday, the two climbers ascended a portion of the North Ridge of the Grand Teton despite limited visibility and wet, icy conditions. After ascending a few hundred feet, suffering minor injuries, and loosing manual dexterity due to the cold, they called for help at 4:15 p.m. Their call was forwarded from the Teton County Sheriff’s Office Dispatch to Teton Interagency Dispatch Center. Jenny Lake Rangers took the call and attempted to talk the mountaineers through various escape route possibilities. Rangers stationed at the Lower Saddle also attempted to reach their location but were unable to do so due to the wet conditions. The rangers then advised Marucci and Robertson to descend to a small ledge and spend the night in their tent before descending two rappels further to the Grandstand feature the following morning. After discussing options with the climbers to make the long descent out of the mountains Tuesday morning, it became clear that they were too exhausted and an aerial rescue would be the safest and most expeditious form of rescue. Rangers conducted a reconnaissance flight before configuring the helicopter for short-haul rescue. Short-haul is a rescue technique where an individual or gear is suspended below the helicopter on a 150 to 250 foot rope. At 8:30 p.m. Friday night, May 5, park rangers were contacted via cell phone about an incident on the East Inlet Trail on the west side of Rocky Mountain National Park, according to the National Park Service. A 19-year-old man from Tennessee and two friends were backpacking in the area. They were roughly 3.5 miles from the trailhead, scrambling over steep terrain, boulders and downed trees when a large boulder fell on the man’s leg. The man’s friends were able to free him from under the rock. Search and Rescue Team members reached the man at approximately 11:30 p.m. A number of agencies assisted Rocky Mountain National Park on this incident including Grand County EMS, Grand Lake Fire Protection District, Grand County Sheriff’s Office and Grand County Search and Rescue. The man was located in steep terrain, cliffed out on one side and steep scree on the other. Due to the terrain and darkness, the team of fifteen members stayed put through the night and provided advanced medical care to the injured man. Because of the nature of the man’s leg injury and the location, park rangers requested assistance from the Colorado High-Altitude Army National Guard Aviation Program to assist in evacuating the man via a hoist operation, using a winch operated cable. This occurred at 8:15 a.m. this morning. The man was flown to Harbison Meadow in Rocky Mountain National Park where he was transported by ground ambulance to Middle Park Medical Center. Rescue team members are hiking out to the trailhead. 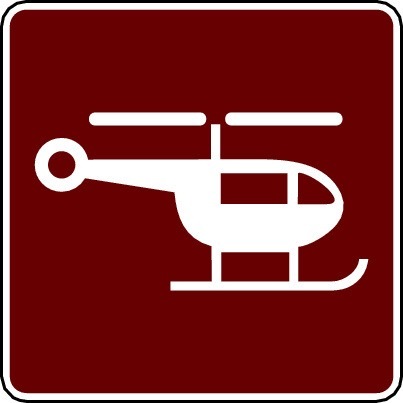 TALKEETNA, AK — Denali National Park and Preserve rescue personnel conducted a short-haul helicopter rescue of a stranded climber on Mount Hunter (14,573-feet) on Sunday afternoon, April 3, according to the National Park Service. Masatoshi Kuriaki, age 42 of Fukuoka, Japan, was evacuated from an elevation of 8,600 feet on Mount Hunter’s West Ridge climbing route. He was on Day 75 of a planned 65-day solo expedition. On Tuesday, July 21st, a large boulder dislodged and rolled over the arm of a hiker, causing severe injury to his limb and prompting a helicopter-assisted rescue by Grand Teton National Park rangers. Tucker Zibilich, 26, of Jackson, Wyoming, and his partner were on their descent after making a day trek to the Upper Saddle of the Grand Teton when he was injured by the boulder. Teton Interagency Dispatch Center received an emergency call for help at 12:40 p.m. from Zibilich’s partner and several other climbers, and park rangers immediately initiated a rescue operation. A backcountry ranger and a retired Jenny Lake Subdistrict ranger happened to be approaching the base of the headwall, just below the Lower Saddle of the Grand Teton, when the call came in. They advanced to the Lower Saddle, picked up gear at the park’s backcountry rescue cache, and ascended another 1,200 plus feet to the accident site. They reached Zibilich at 2:15 p.m., assessed his condition and provided emergency medical care until additional park rangers could arrive. Due to nature of Zibilich’s injury and concern about attempting to hike him downslope over steep and rocky terrain to reach the Grand Teton’s broad and somewhat flat Lower Saddle for an aerial evacuation, a decision was made to use the Teton Interagency contract helicopter to instead short-haul Zibilich directly from his high elevation site on the Grand Teton to the Jenny Lake Rescue Cache on the valley floor. A hiker was rescued and evacuated by helicopter following a 125-foot fall near Badlands Nations National Park in South Dakota. The Badlands search and rescue team responded to a mutual aid request by the Oglala Sioux Tribe mid-day on July 11th to assist with an injured hiker. The 26-year old man had been hiking with three others and fell approximately 125 feet into a rugged canyon on Sheep Mountain Table, later determined to be on the boundary of Badlands National Park and the Pine Ridge Indian Reservation. SAR team members Tyson Nehrin and Ryan Frum repelled down and conducted the initial patient assessment, noting significant trauma to the patient’s head and an altered level of consciousness. A paramedic from Black Hills Life Flight also repelled down and provided advanced life support. The incident commander requested a Black Hawk medivac through the South Dakota National Guard to conduct a hoist operation. The visitor was successfully lifted into the Black Hawk along with the flight medic and transported to Rapid City Regional Hospital. Responding agencies included the Oglala Sioux Tribal Police Department, Badlands SAR, Pennington County Sheriff’s Office, Interior Volunteer Fire Department, Pennington County SAR, Rapid Valley Fire Department, South Dakota National Guard and Black Hills Life Flight. A team of rangers, emergency medical personnel, Teton County SAR team members and a contract helicopter rescued four backcountry ski mountaineers who were involved in an avalanche on the northeast face of Mount Moran at Grand TetonNational Park in Wyoming on Sunday. Luke Lynch, 38, was killed in the avalanche and one of his companions, Stephen P. Adamson, Jr., 42, sustained life-threatening injuries, prompting evacuation by helicopter. Two other companions – Brook Yeomans, 37, who suffered minor injuries, and Zahan Billimoria , 37, who escaped injury – were also evacuated via helicopter as continuing avalanche activity and a steady cycle of snow squalls across the Tetons made the multi-staged rescue operation more challenging. Teton Interagency Dispatch Center received a 911 transfer call from Teton County on Sunday and quickly contacted park rangers, who immediately began a coordinated rescue operation. Because of the remote location on Mount Moran and the report of multiple injured persons, rangers quickly staged at and responded from the Jenny Lake Rescue Cache, located at Lupine Meadows near the base of Teewinot Mountain. Rangers also summoned the Teton County SAR contract helicopter. The four ski mountaineers were ascending the steep Sickle Couloir on Mount Moran when a shallow wet slough avalanche released from above. The snow slide swept three of the mountaineers downslope for approximately 500 feet over rock and ice covered terrain. Billimoria was able to move out of the heavier portion of the debris flow and was not caught in the slide. He quickly descended to his teammates, called 911, and began the difficult task of administering aid to his three companions. Light snowfall on the slopes above continued to cause additional sloughs that repeatedly hit the group, requiring Billimoria to work desperately to move Adamson and Lynch to a safer location. Although injured, Yeomans was able to descend slowly downslope under his own power. After a slight lull in the recurring snowstorms over the Teton peaks, the Teton County SAR helicopter was able to deliver several rescuers to the base of the couloir. A Teton County SAR member was short-hauled to the scene to aid in the evacuation of Adamson, who receiving emergency medical care by park rangers on site and getting package for airlift off the mountain. Adamson and the Teton County SAR member were both short-hauled directly to the Jenny Lake Rescue Cache where a team of medics and the park’s medical director, Dr. Will Smith, provided additional emergency care before Adamson was transported by park ambulance to the Jackson Hole Airport. Upon reaching the airport, Adamson was transferred to a fixed wing air ambulance that flew him to the Eastern Idaho Regional Medical Center in Idaho Falls, Idaho. The Teton County SAR helicopter subsequently returned to pick up the two other avalanche survivors and transport them out of the backcountry. Additional flights were made to bring out Lynch’s body, as well as the remaining park rangers and their rescue gear. All rescue personnel were safely out of the mountains. Crews at Lake Clark National Park in Alaska used a helicopter to rescue a hiker following a fall at Copper Mountain. Sunday evening, Aug. 31, a party of four hikers was rescued from Copper Mountain in Lake Clark National Park and Preserve. Three of the hikers were off-duty Lake Clark employees. The National Park Service’s Alaska Region Communication Center received a distress call from a park radio at about 7:30 p.m. reporting that a seasonal maintenance employee had sustained a life threatening injury in a fall. Members of the party provided first aid, but due to unstable terrain they were unable to move the patient. National Park Service and Alaska State Trooper personnel in Port Alsworth worked with the Alaska Rescue Coordination Center to rescue the hikers. The Air National Guard responded with an HC-130 aircraft and an HH-60 helicopter with Pararescue Jumpers. During the hoisting operation another seasonal maintenance employee of Lake Clark on furlough from the Grand Canyon, sustained a significant head injury as a result of falling rock debris. Ultimately, all four hikers were brought aboard the helicopter and flown to Anchorage. A climber sustained life-threatening injuries in an apparent fall while attempting to make a solo summit of the 13,770-foot Grand Teton on Friday morning, Aug. 8. Grand Teton National Park rangers successfully rescued Steve Markusen, 60, of Minneapolis, Minn., from the Grand Teton; however, dense clouds and inclement weather affected the rescue operations throughout much of the afternoon and hindered a more expedient short-haul rescue mission with support by a Teton Interagency contract helicopter. Free climbing alone—without a climbing harness, rope or helmet—Markusen had reached an elevation of 13,300 feet on the Grand Teton and had reached a point midway between the Friction Pitch and V-Pitch on the upper Exum Ridge route when the accident occurred. Although Markusen was unable to recall exactly what happened, he believed he may have been struck by a rock, which caused him to fall or tumble possibly 100 feet down the steep, granite slabs strewn with loose rock that lie above the Friction Pitch. Markusen incurred extensive traumatic injuries during his fall. A climbing accident on the 13,770-foot Grand Teton resulted in the death of one member of a guided climbing party on Monday morning, July 14 , in Grand Teton National Park, according to the National Park Service. Mary Bilyeu, 43, of Edmond, Oklahoma was ascending to the Upper Saddle of the Grand Teton (elevation 13,160 feet) with her climbing partner and a guide from Jackson Hole Mountain Guides when she fell while negotiating a short section above the Exum Gully about 8:30 a.m.
Grand Teton National Park rangers were notified of the accident at 8:40 a.m. Two park rangers on routine patrol at the Lower Saddle of the Grand Teton (11,600 feet) climbed to the accident site to begin emergency medical care and prepare the injured climber for a helicopter evacuation. Bilyeu was unresponsive when park rangers arrived on scene and could not be revived. She was pronounced dead in consultation with the park’s medical director and park rangers on scene. 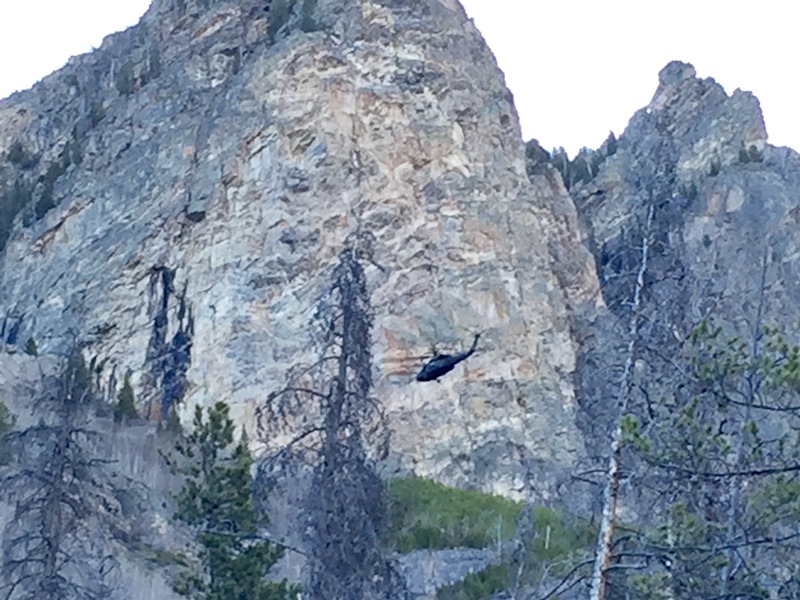 The circumstances leading to this climbing accident are under investigation by Grand Teton National Park rangers and no further details are available at this time. On Tuesday, June 17th, dispatch received a 911 call from an injured rock climber at the base of the Chounard-Herbert climbing route on Sentinel Rock in Yosemite Valley, Calif. The climber, a 30-year-old man from Bend, Oregon, said that he’d taken a 35-foot fall on the first pitch of the route, that he’d suffered injuries to his lower extremities, and that he was unable to self-rescue. A ground response team consisting of Yosemite Search and Rescue team members Everett Phillips, Matt Othmer, Ken Kreis and Buck Yedor was dispatched to the scene. The park’s contract helicopter was also ordered for a reconnaissance flight and potential short haul mission. TALKEETNA, AK: One member of a two-person climbing team perished in an early season climbing fall on Mount McKinley in recent days.The fatal fall likely occurred on May 5, after the climbing parties became separated during a descent from Denali Pass in stormy weather. Mike Fuchs, 34, of Berlin, Germany and Sylvia Montag, 39, of Tacoma, Washington, began their ascent of the Muldrow Glacier route on April 15. They reached Denali Pass at 18,200-feet elevation on May 3, where they encountered strong winds that forced them to camp for two nights near the Pass. At 11:00 am on Monday, May 5, Fuchs contacted rangers at the Walter Harper Talkeetna Ranger Station via satellite phone from the 17,200-foot High Camp on the West Buttress. Fuchs reported that the two had gotten separated as they descended from Denali Pass to the 17,200-foot camp. The two were not roped together, nor did they not have radio communications with one another. Fuchs described that both parties were weakened from the multiple nights spent at Denali Pass, and each possessed only partial survival gear. In addition to his personal gear, Fuchs possessed the team’s satellite phone and camp stove, while Montag had the tent, limited food, and her personal gear. Due to limited visibility and high winds estimated between 40 to 60 mph, Fuchs took shelter in the NPS ‘rescue cache’, a metal storage locker for emergency supplies and equipment at 17,200-feet. Fuchs phoned back the following morning, May 6, and requested a rescue for both himself and for Montag, who he hoped was camped at Denali Pass. The weather on May 6 remained windy with low visibility, and an NPS helicopter rescue was not feasible. Furthermore, a ground rescue was not possible as Fuchs and Montag were two of the earliest Denali climbers of the 2014 season, and at the time were the only climbers above 14,200 feet on the mountain. The only NPS ranger patrol on the mountain was camped at 7,800-feet.